111 Years: A Shining Example of Sustainable Product Development? The centennial light bulb has celebrated its 110th birthday last year and the story has percolated the web. According to its web cam the bulb is still alive. This light bulb has caused quite a stir when featured in the documentary on planned obsolescence: The Light Bulb Conspiracy. Actually, the bulb technology is very different from modern incandescent bulbs (that are not so modern any more – after having been banned by the European Union). Research has been done in order to determine the reason for the bulb’s longevity. Of course not on the precious, centennial bulb, but on an identically constructed one. 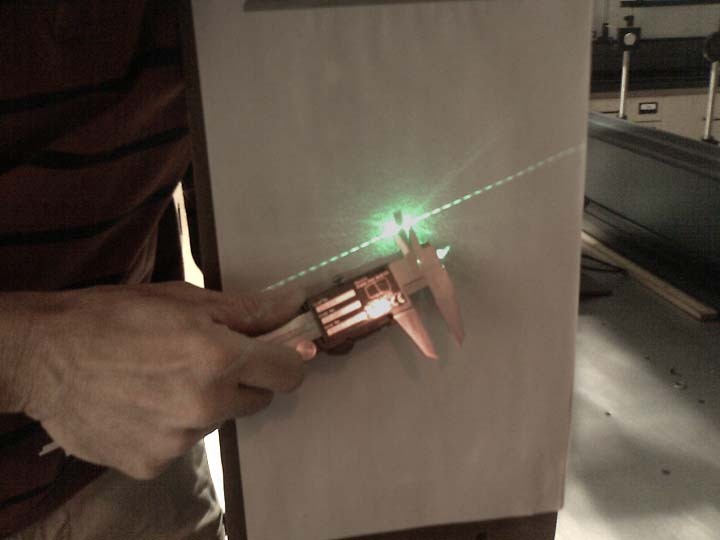 The size of the filament has been investigated without breaking the lamp by shining laser light on the dark filament and analyzing the diffraction pattern, recording the distances between the laser spots on a screen positioned behind the lamp. The filament is about eight times thicker than the filaments of today’s bulbs – a solid wire with a diameter about the same as the outer diameter of the modern tungsten filament’s coil. Energy is radiated away from the wire, and it cannot be absorbed by adjacent windings of the coil. Electrical resistance has been found to slightly decrease with increasing temperature (similar to semiconductors), and the temperature coefficient was large than the value for pure carbon. The exact composition is not known, but the negative temperature coefficient could result in a negative feedback loop: filament is heated by dissipated electrical energy –> filament becomes hotter –> resistance decreases –> less energy is dissipated. Fire Chief Jack Baird said: The light bulb was never turned off, except for about a week when President (Franklin D.) Roosevelt’s WPA people remodeled the firehouse back in the ’30s and a few times we had power failures. Consumers are very often advised not to turn on and off lamps to often to avoid an enormous energy-consuming power surge. There are tests that falsify this theory though we do not know of course how the ancient lamps would stand this stress test. So, yes (to all critics of the planned obsolescence conspiracy theory): This bulb is not best practice in engineering according to today’s standards so there is no point in trying to force Philips to build lamps like this. But this is not a claim put forward by the documentary anyway. The light bulb is a symbol and a nice hook for a story. Isn’t it self-explaining that long-lived products would make sense? Probably I have just posted this because my notebook’s battery has started to bring up an annoying pop-up repeatedly: (Paraphrasing) Please replace me though I may still work! This entry was posted in Physics, punktwissen, Science and Technology and tagged Engineering, Geek, History of Science, Science, Sustainability, Technology by elkement. Bookmark the permalink.